We are very proud of our local business partnerships. We can not thank Jersey Girl Brewing Company and Dean's Natural Food Market enough for going out of their way to work with us. These partnerships reduce landfill waste and minimize disposal fees. The farm benefits from reduced feed costs and a healthier diet for our animals. With these and new partnerships, we are continuing to work towards a sustainable future for the farm. We partnered with Jersey Girl Brewing Company before the mash tuns were installed! Every bit of grain produced at Jersey Girl has made its way to our farm and into the bellies of our very satisfied livestock. We also use Jersey Girl Beer in some of our specialty meat and jerky products, which are available at our Farm Market. Our Cattle LOVE the Jersey Girl spent grain! 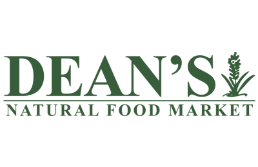 Dean's Natural Food Market is a local market that offers organic produce and other natural products. Much of the produce that does not make it to the customer is put aside for us for weekly pickup and fed to our Large Black Pigs. Our Pigs go CRAZY for Dean's Natural Food Market produce!